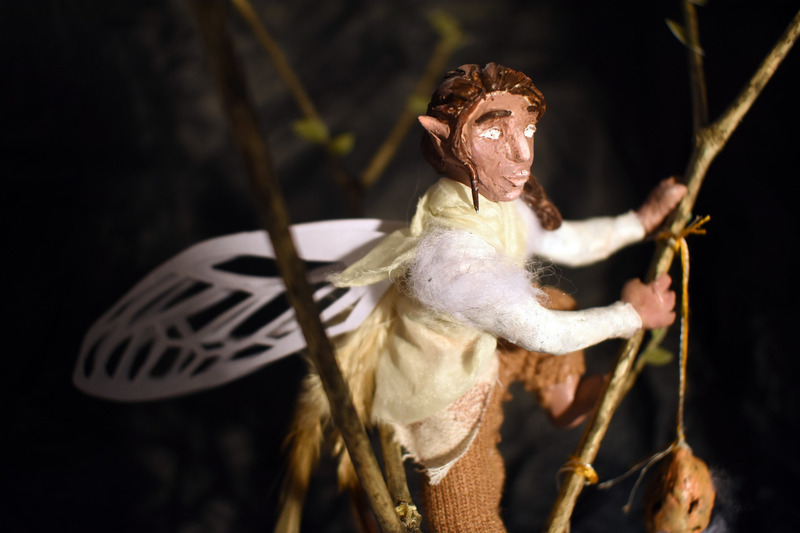 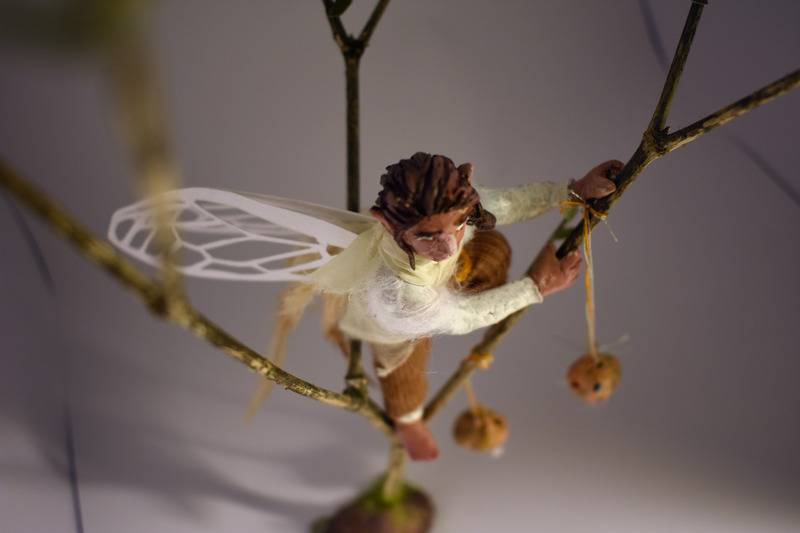 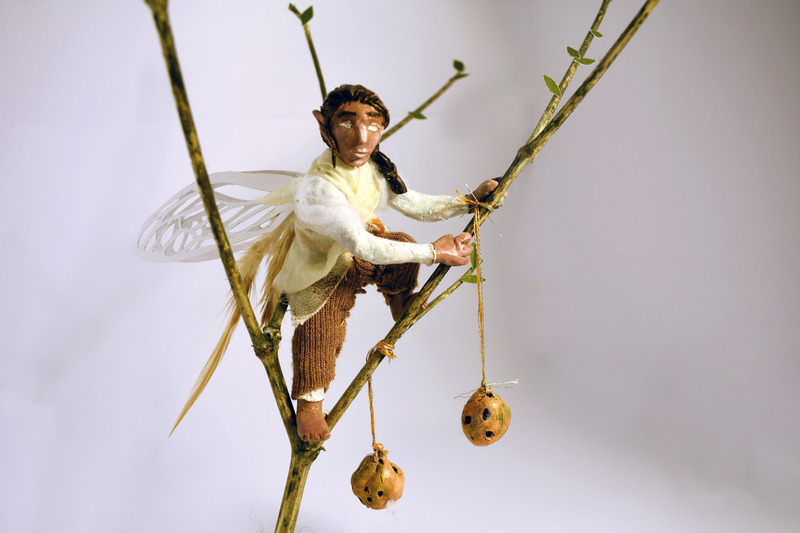 A faery made as an exploration of modelling for an Innovations in Illustration paper. 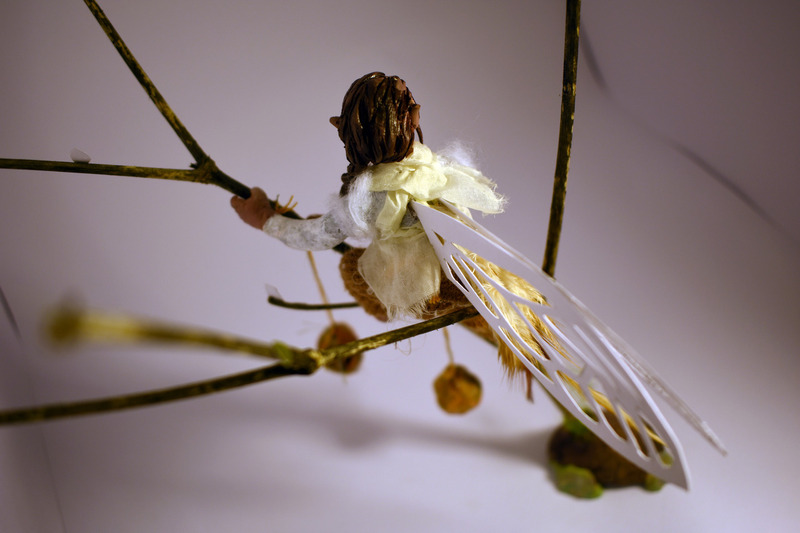 Loosely inspired by Wishes To Fly by Irma Gruenholz. 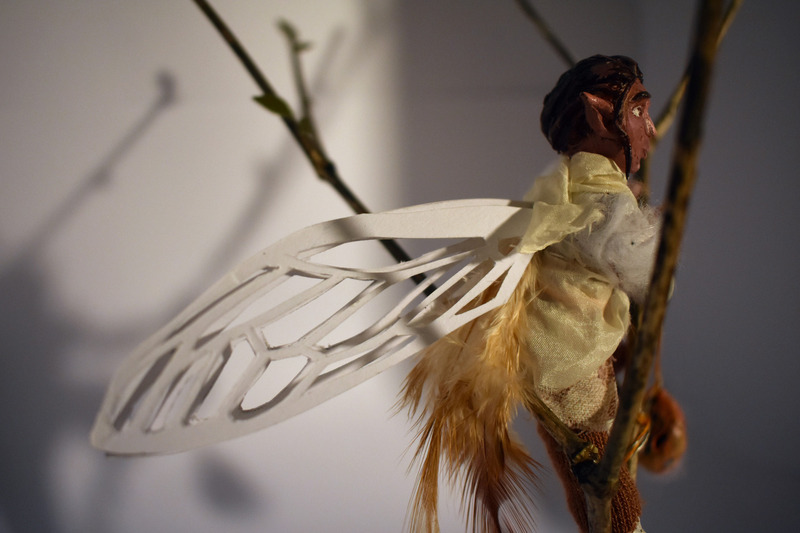 Materials : sculpey, acrylic, paper, various fabrics, felt, a branch.